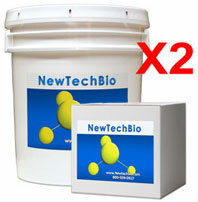 NT-MAX Septic System Bio-Packs - 28 Month Supply. 2 year supply + 4 months free. 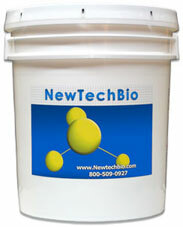 Easy to flush water soluble packs. Tens of trillions of bacteria and enzymes guard your system against failure. Just 1 packet per month completely eliminates unnecessary frequent pump-outs. **Ships today - Guaranteed to protect! 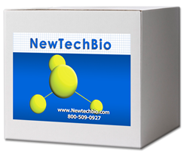 NT-MAX Septic System Bio-Packs - 48 Month Supply. 48 month - full 4 years supply. Easy to flush water soluble packs. Tens of trillions of bacteria and enzymes guard your system against failure. Just 1 packet per month completely eliminates unnecessary frequent pump-outs. NT-MAX Super Shock - Our Most Powerful Industrial Strength Septic Waste Digester available! Liquid septic system shock treatment with 600 trillion bacteria and enzymes per treatment. Formulated in-house, No other product comes close! Full 5+ Year Supply when used as Maintenance. Completely restores ALL failed septic systems. **Ships today - Guaranteed to Restore Failed Systems! Liquid septic system shock treatment with 600 trillion bacteria and enzymes per treatment + 48 months water soluble, flushable bio-packs. Formulated in-house, No other product comes close! Completely restores ALL failed septic systems. NT-MAX is backed by a 100% performance guarantee. NT-MAX septic maintenance and shock treatments contain only premium grade bacteria and enzymes which include free shipping and unlimited technical support. NT-MAX ranks #1 by our consumers and septic professionals worldwide and we conclude is the strongest sludge digestion product on the market. Your Product cleared out the odors within 2 days and had our system running smoothly after administering the shock treatment and..